The internet has invaded all aspects of our lives, and as the year’s pass, we use it for more and more things, and entertainment is not the exception. It seems like a lot of people is not using the T.V as often as they used and the reason is obvious: on the internet, we can watch what we want when we want it. That’s why sites like CouchTuner have appeared so we can enjoy series and movies online. Today, we will share 8 alternatives to CouchTuner. Couch Tuner is a really popular streaming website of TV series. Watching its content is completely free and you have access to all the TV series they have without restrictions, you don’t even need to have an account. However, these kinds of websites have had troubles lately with law in different countries for copyright infringement, as they provide pirated content. This is why is possible that this website is blocked in your country or tracked down. That’s we will present some alternatives to it. The Dare TV is website with a wide variety of TV series and movies. It has an up-to-date selection and content for everyone. 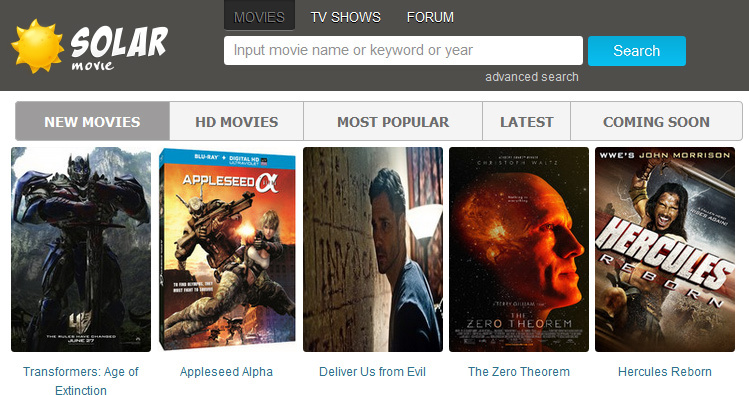 It has an un-cluttered and organized interface, with TV shows and movies classified by categories and alphabetically. If you create an account, you can add TV shows and movies as your favorites, add them to a watch later list or marked them as seen. Another interesting aspect is that it has a requests forum, where you can ask them to upload the shows or movies you want to see but are not in the website yet. It also has a chat where you can talk with other people who use the website. Watch Series is the perfect website for those who love watching TV shows. It has fewer features than the previous website in this list but it has a good variety of shows and it is update every day, with several episodes being uploaded daily. Content is classified by genres, popular series and latest updated. This site also has some movies, but they don’t have such a wide range as the one they have for series. Cucirca is a streaming website of TV series. Unlike the previous websites of our list of alternatives to CouchTuner, Cucirca only has TV shows. It has an easy to explore interface with TV series classified alphabetically and in two groups: the most popular one and the latest ones. Besides streaming, Cucirca also gives you the option of downloading the episodes. Cucirca has a calendar with the list of episodes that will be available each day. Additionally, Cucirca has the option of adding episodes to a watch later list which is based on your cookies. In other words, you will have your watch later list without registering or creating an account, but if you clear your cookies you will lose the list. This website was shut-down once but it was launched again. It has a wide variety of TV series and movies in HD. Its content is classified by genres, years and countries. This website has something to offer for everyone, as it has lots of anime episodes, Asian dramas and cartoons. Putlockers has a good selection of movies, having the ones that have been just released. It offers a good number of options to see an episode or movie in case one of them doesn’t work or is not properly recorded. TubiTv is a completely legal streaming website with content from studios like Paramount or Lionsgate. It has over 7,000 titles available that include movies, TV series and documentaries. As it is free, it doesn’t have the most recent releases, but it has quality content in HD video. This is the perfect option if you are a person who enjoys documentaries or classic movies. Unlike the websites mentioned above, you must register if you want to use TubiTv. The process of creating an account is very simple and fast and you can do it using your email or your Facebook. Don’t worry, although you have to register, watching the videos keeps being free. TubiTV has an app available for Android and iOS so you can watch the content in your phone or tablet. This streaming website has a more professional interface than the previous websites recommended. It has both movies and TV series, and the content is classified by genres, top rated movies and series and they have a section called “greatest movies” where they have the movies the think are the best ones of all time. Café movie has the option of registering so you can save episodes or movies to a watch later list, commenting what you see and getting suggestions from them. Having an account is not obligatory to consume the content. If you are more of a movies person, Movie4U is the perfect streaming website in this list of alternatives to CouchTuner. They have movies classified by genres, release year, trending, most viewed, ratings and alphabetically. Its interface is very clean and simple, so exploring and finding movies is really easy. Something good about this website is that the images of the movies indicate the quality of the video, so you know if it is available in HD before clicking. This website also has some series, but there isn’t such a great variety and they are not updated as often as movies. Without doubt, the strength of this website is movies. Movies4U also gives you the option of registering, so you can organize what you see and keep track of the things you saw. Solar Movie is a streaming website with both movies and TV shows. Its content is classified by genre, country, trending, top rated and last added. As Movies4U, Solar Movie has in the picture of movies and TV shows if they are available in HD. Solar Movie covers a good number of genres as it has different options in the category of musicals, biographies and documentaries, something not as common in other websites like this. This website has a section of requests, where they put the movies or TV shows that the users requested.